With the unseasonable weather this spring it&apos;s hard to NOT think about throwing open the windows and doing some spring cleaning. Well if you&apos;re doing that deep cleaning, why not turn some of that "trash" into "cash"? 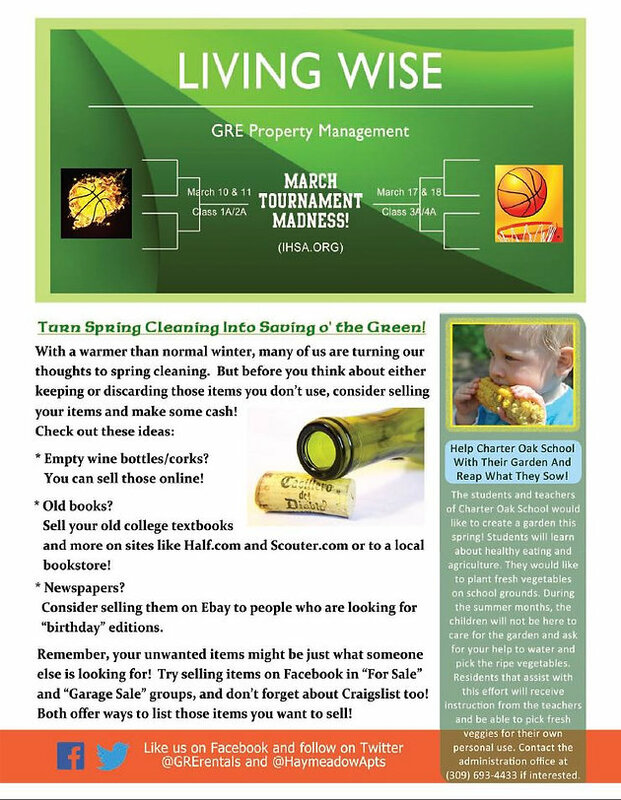 In this month&apos;s issue of Living Wise, we discuss how you can..."clean up" when you do your Spring Cleaning. Plus, we have a way for you to get FREE vegetables ALL SUMMER LONG! (by helping Charter Oak School this spring!) What old household items have you sold to make a little dough? Share your thoughts and tips with us and the rest of the Haymeadow Community!Thank you for reading and sharing. See you next month!